Need Immediate Bulk Wine Storage For Your Business? 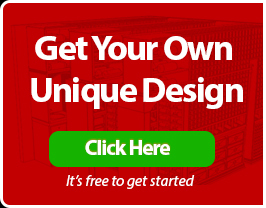 List of Different Models of Wine Fridges – Choose Your Own Wine Fridge Now! Why Have California Chardonnay in Your Residential Wine Cellar? WholeCellar LLC California & Mexico, What Happened? Poor storage conditions will harm the wine. You have to store your wine collection in a room with a stable environment to ensure that your favorite vintages will be of good quality before you consume them. Your chosen builder must install a high-quality wine cooling system to preserve your wines for many years to come. 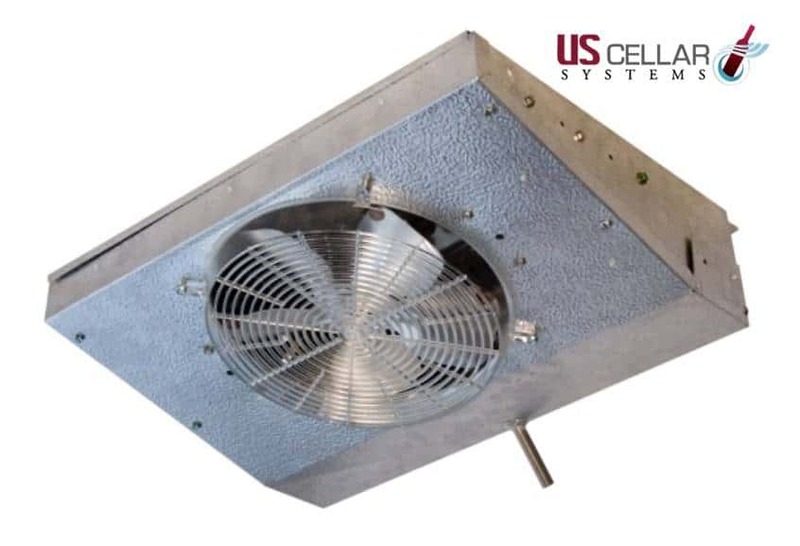 At Wholecellar, we offer reliable climate-control systems from US Cellar Systems, a trusted brand in the industry. In addition to the correct insulation of the walls, ceiling, flooring, and doors, you must ensure that an efficient wine cooling system is installed in your cellar. Storing your wines in a stable environment will protect them from harmful external factors. Extreme changes in the temperatures and humidity levels will spoil your wines. The wrong choice of wine cooling system will damage your wine investment. 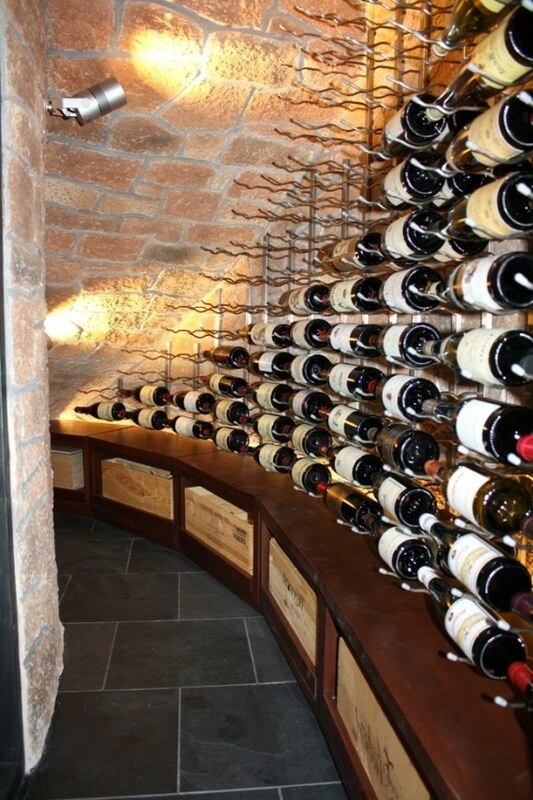 You chosen builder must be knowledgeable about proper wine storage. 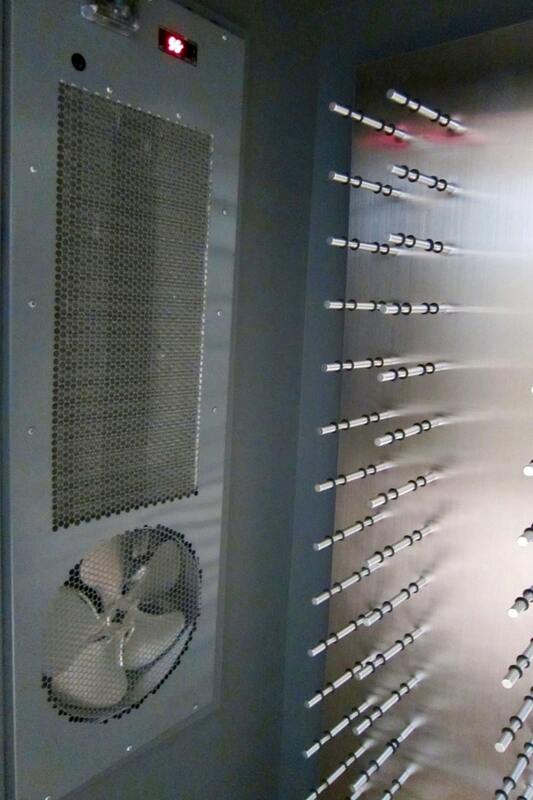 At Wholecellar, our cooling experts will assess all of your needs and requirements. The information they will gather will help us determine the correct size, type, and brand of refrigeration equipment that will be installed in your wine cellar. 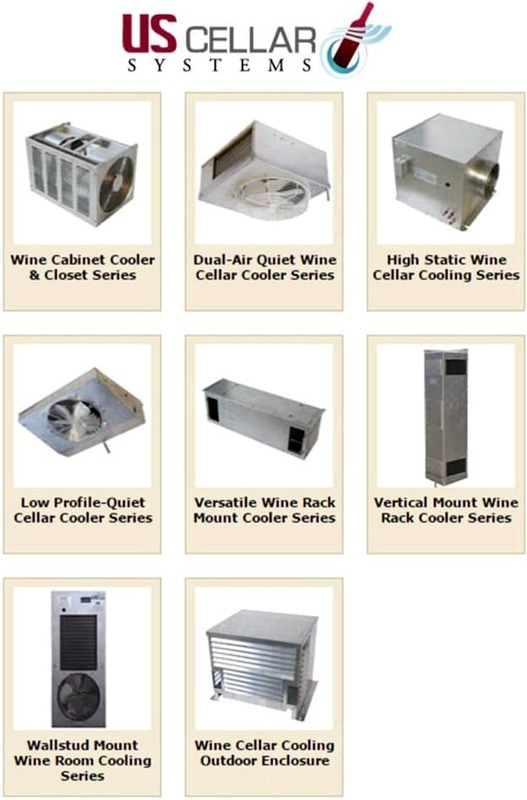 We offer wine cooling units from US Cellar Systems. This company has been providing us innovative and reliable wine cooling solutions to clients in California, Texas, Florida, New Jersey, and Canada. 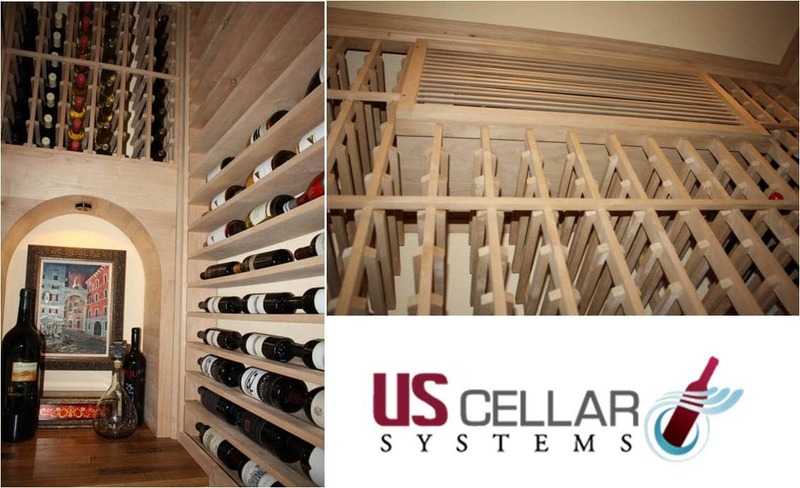 As one of our partners in building custom wine cellars, US Cellar Systems has never failed our clients. Their products were designed with efficiency, functional features, flexibility, and elegance. All of their products are ETL certified and manufactured with superior performance. The units are designed in various sizes and capacity to cater to the needs of each client. They can maintain the ideal temperature (55-65 degrees Fahrenheit) and humidity level (60-70 percent). Flexibility is another factor that you should look for when choosing a wine cellar cooling system. 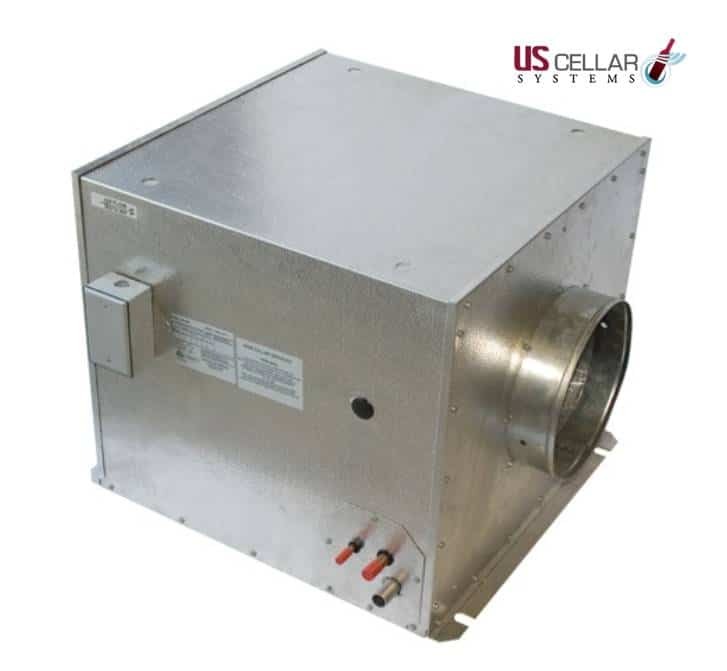 Our US Cellar Systems refrigeration units are available in ducted and ductless types. With the ducted system, the condenser and evaporator are located outdoors. This means that there is no visible equipment in the cellar and you will not hear any noise. If you want a ductless wine cooling system, we will install the evaporator in your wine room. It can be placed in the ceiling, soffit, or mounted on the wall within the racking. The wine cooling units manufactured by US Cellar Systems are available in RM Series, WM Series, HS Series, DQ Series, and LPQ Series. All of these units are ETL certified and have been specially developed to suit the needs of builders and contractors. 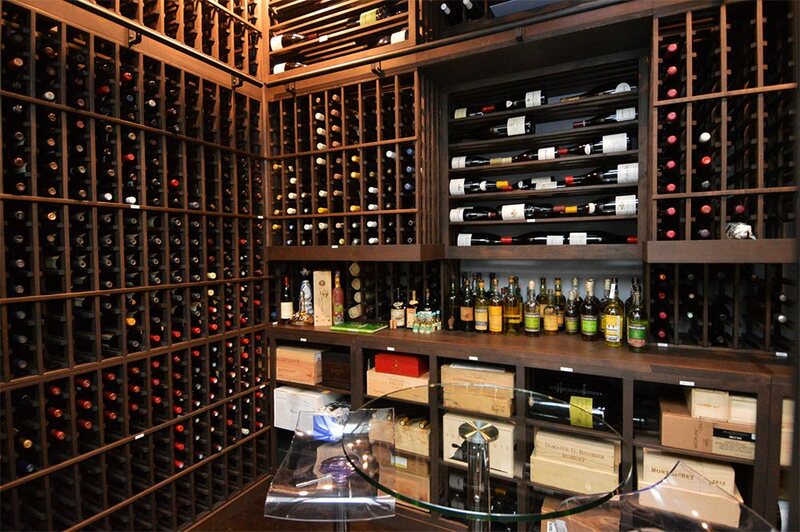 Some collectors want their wine cellar refrigeration unit to be placed within the racking and concealed in a wooden louvered grill cover to make it look like part of the racking. The RM (Rack Mount) Series wine cooling units by US Cellar Systems is designed for spaces with medium to high temperatures. The coils are staggered with expanded tubing in aluminum fins for maximum cooling efficiency. Each unit has an access panel for redirecting the supply and return vents. When it comes to versatility, we recommend the WM (Wall Mount) Series cooling units. They are designed for installations in irregular or odd-shaped rooms such as spaces under the stairs. It is installed vertically between wall studs. It has a thermostat and built-in temperature sensor, and does not require an exhaust room. Like the Rack Mount Series, the HS (High-Static) Series wine cellar cooling system is suitable for areas with medium to high temperatures. The unit is installed 25 feet away from the wine room. However, its distance from the cellar does not compromise its effectiveness. Moreover, choosing this cooling unit provides a quiet operation in the cellar. 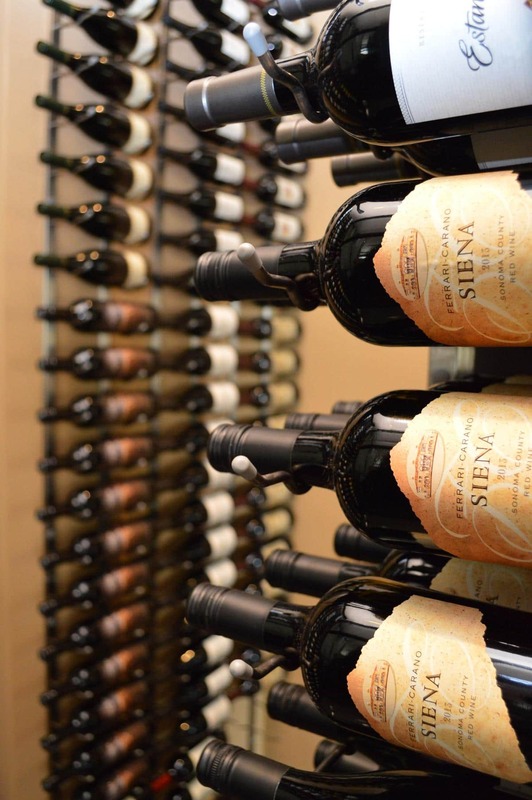 If you are planning to build your wine cellar in a walk-in closet, apartment, or in any limited space, the HS Series is the ideal choice because the unit is small and does not occupy racking or floor space. The DQ (Dula-Air Quiet) Series by US Cellar Systems is suitable for large wine cabinets, and long, narrow, or uniquely shaped walk-in wine cellars. It provides medium velocity airflow. The DQ wine cooling units have fan blades that were engineered to create very little noise. They also have an air defrosting coil that does not require an additional heater. Available in standard capacities, the DQ evaporators are used with the R134 refrigerant. At Wholecellar, one of the challenges that we have encountered in building wine cellars with our partners is the room’s height. For this type of installation, we use the LPQ (Low Profile Quiet Series) wine refrigeration unit. 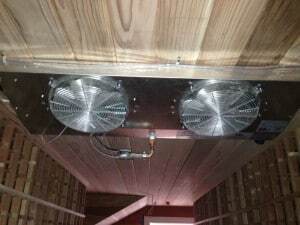 It is mounted on the ceiling to allow the air to circulate well in the room. Each LPQ Series wine cooling unit has molded fan guards and blades and offers a quiet operation. 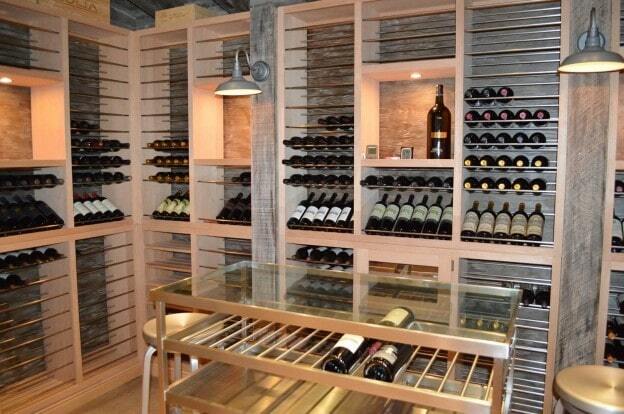 How can you keep your wine collection safe? 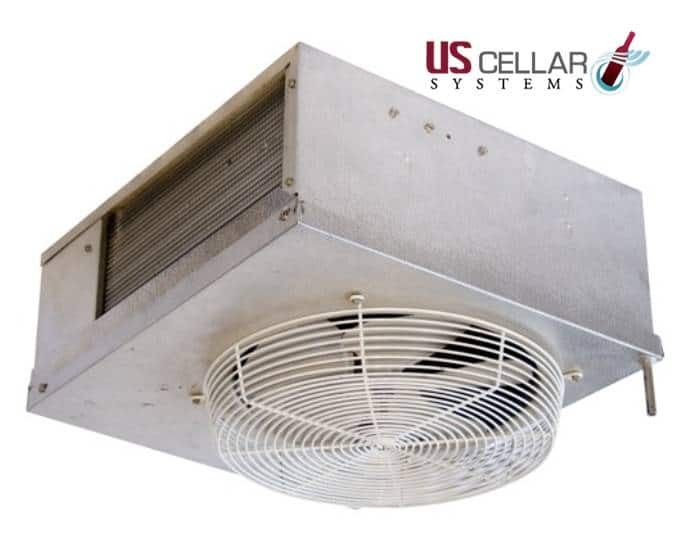 At Wholecellar, we offer wine cooling systems by US Cellar Systems. Designed with efficiency, style, and great features, these units will preserve your wines for many years to come. If you need help, contact us today at +1 (844) 608-4199.